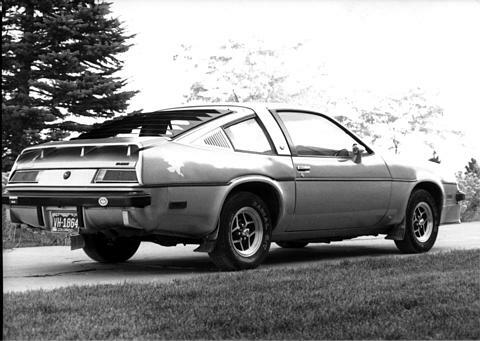 Born in 1979, and offered by Buick till only 1980, The Road Hawk enjoyed a short life on the market but is truly one of the rarest GM H-Body cars in existance. 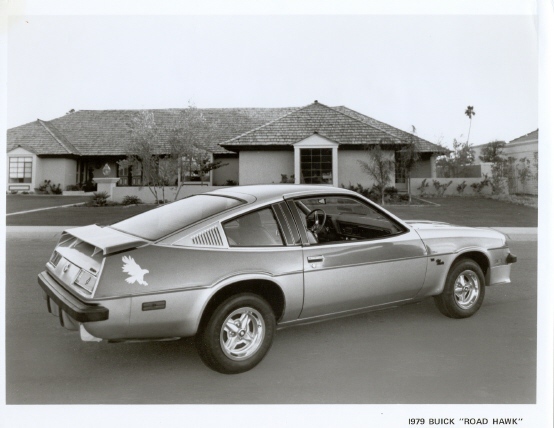 The Road Hawk is a special edition silver metallic Buick Skyhawk, offered to the Skyhawk buyer with the Y43 (RPO code) "Roadhawk Package". 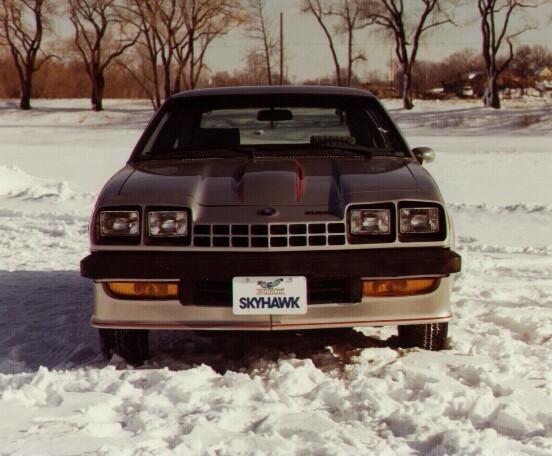 The Road Hawk package significantly enhanced and altered the basic look of the Skyhawk base-car. 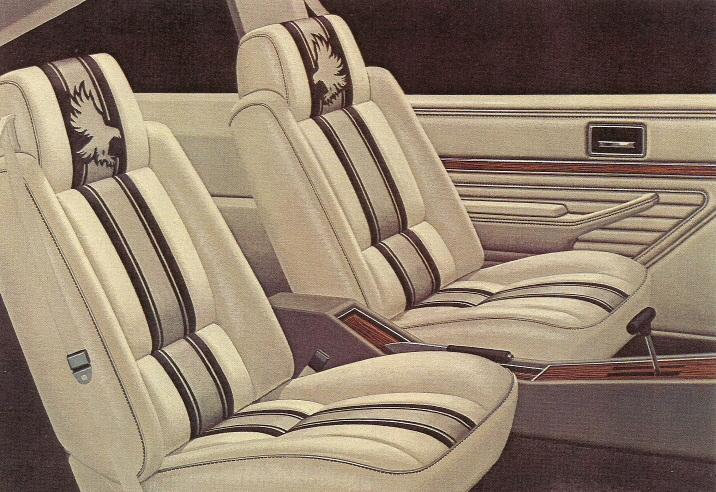 On the inside, special oyster-coloured front bucket seats were added with black and gray striping and the Buick 'hawk' logo on the headrests with the rear seat backs getting the same striping pattern, without the hawk. These seats provide for a very unique look, and the Road Hawk is one of only 2 GM H-Body models to have dramatic special edition modifications applied to the interior of the car. Althought the Road Hawk seats were a bold change, the exterior is even more enhanced. Special front air dam and rear spoiler were added, as well as special fibreglass quarter panel extensions that were molded to 'flow' into the rear spoiler, which provided the buyer with a significantly new look from the base Skyhawk. All window and excess trim was blacked out and special dark gray striping (vinyl decals) stretched from the front facia back onto the rear spoiler which was further highlighted with red pinstriping of varies widths. 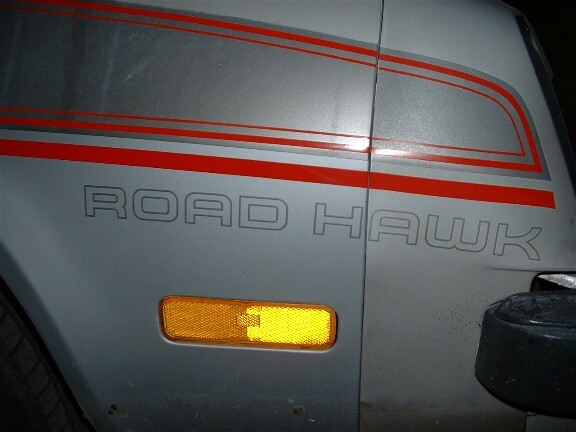 A large white Buick 'hawk' decal was added to the rear quarter panels, along with the words 'ROAD HAWK' in dark gray vinyl decal form, on both front fenders and along the rear facia between the taillights. Truly a head-turning look. 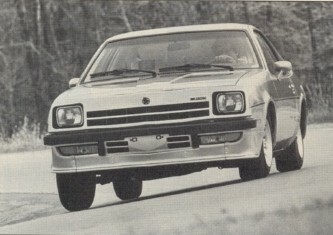 The Road Hawk option was not just an appearance package offered by Buick. 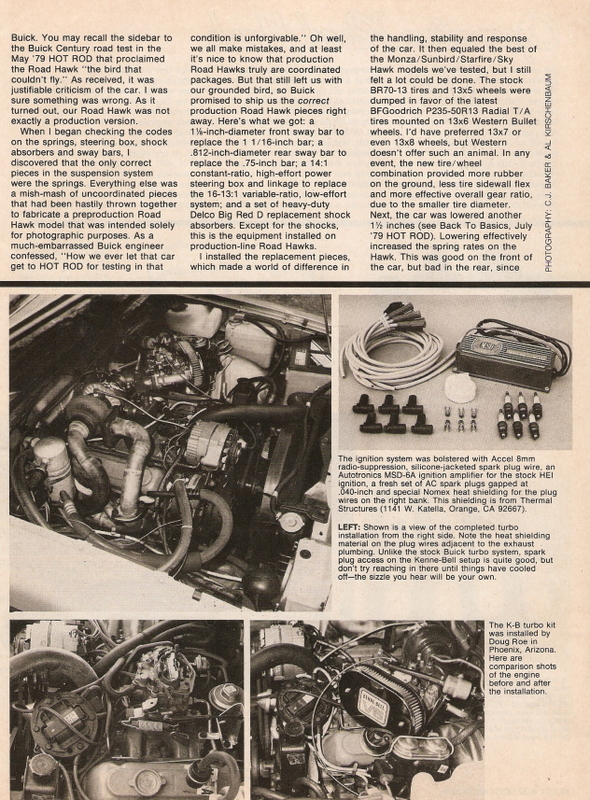 Ordering the Y43 package was also the only way to get the Performance Handling Group option on the Skyhawk. This package offers hefty front and rear anti-sway bars, stiffer shocks and a quicker steering ratio (if power steering was ordered). Also offered with this package were BR70-13 Goodyear radials on 6 inch wide rims (either steel 4-spoke Rallys or alloy 10-hole wheels). 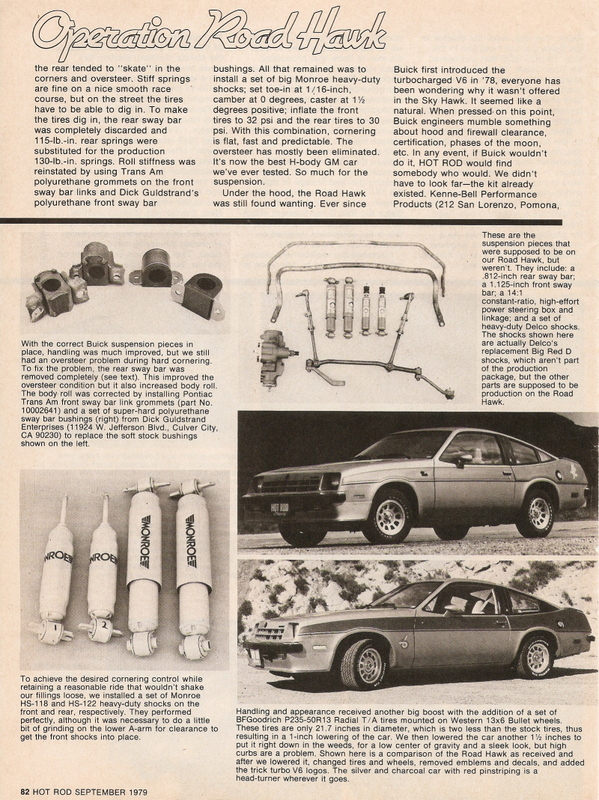 This package makes a significant difference in ride and handling, according to a "Short Take" road test done by 'Car and Driver' in September of 1979. 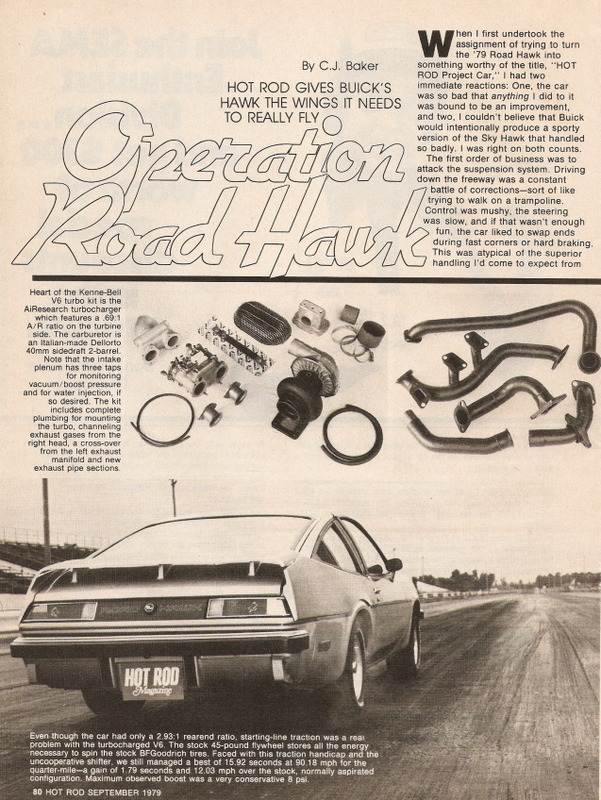 The Y43 Road Hawk package cost the buyer $675.00 in 1979 (Taken from September 1979 Car and Driver magazine's 'Short Take' road test article on the Road Hawk, and verified by a copy of an original window sticker provided by Eddie and Lisa Borders) and, according to "The Standard Catalog of Buick", went up to $696.00 in 1980. 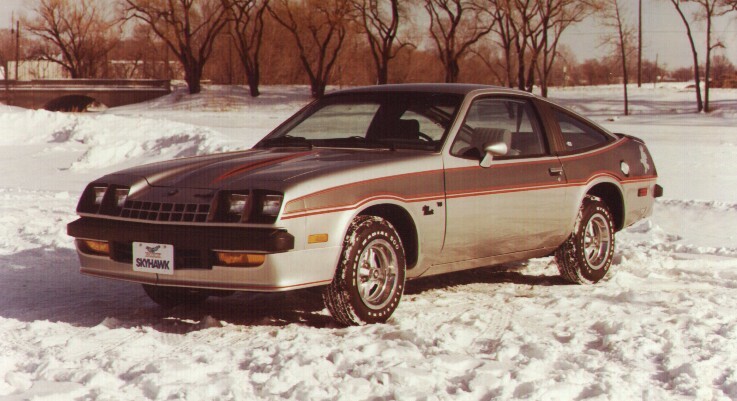 Only 1,745 Road Hawks were ordered for 1979 and actual production in 1980 was only 292, making the total run of Road Hawks at only 2,037 cars. Of the 2,037 produced, 186 were imported into Canada in 1979 and only 62 went north in 1980. 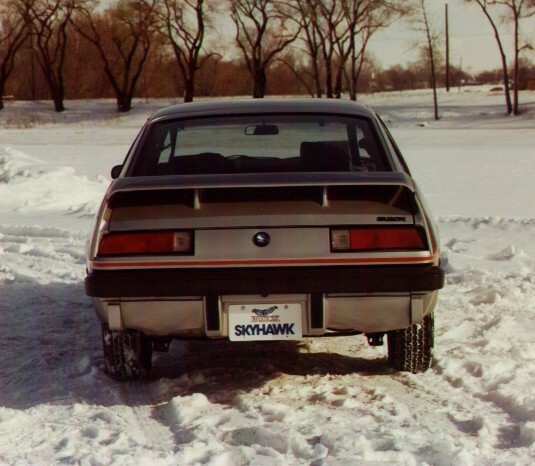 The Road Hawk was not a completely GM application though. GM shared that honour with Robin Products Company Inc., based out of Farmington Hills, Michigan. They were the designers and the fabricators of the Road Hawk components and did the installation when the car had finished production by GM. 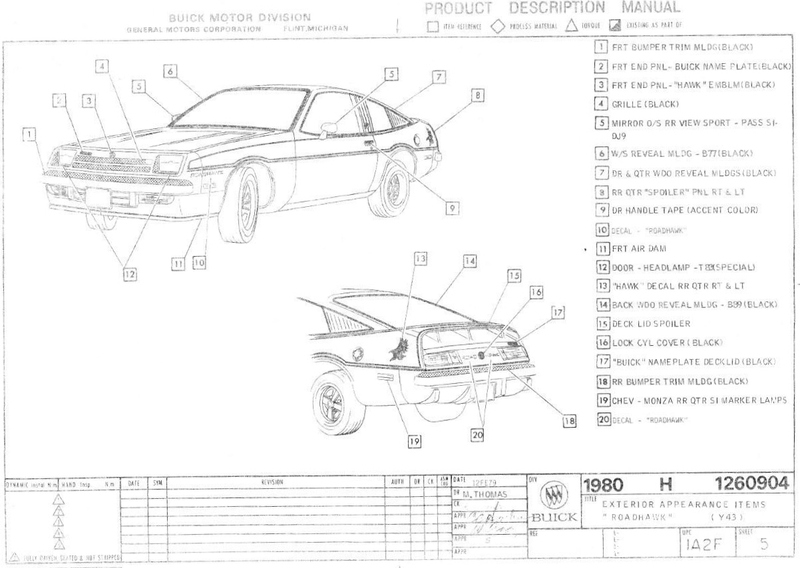 Although Robin Products Company fabricated and assembled the cars, each Road Hawk specific part was also given an official GM part number, with each seven-digit number starting with '9637' and ending from '001' to '029'. 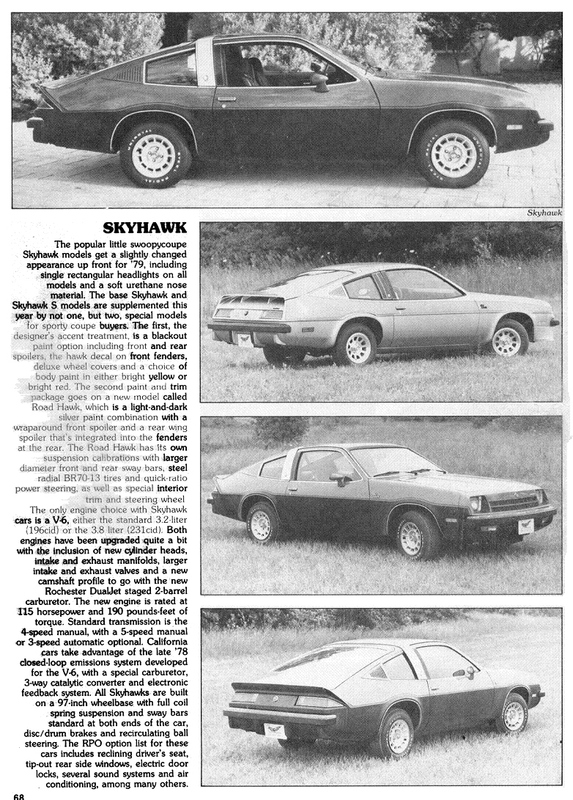 Road Hawk's were built at GM 's production plant in Lordstown, Ohio as silver metallic Skyhawk's with Oyster interiors but were then shipped out to Robin Product's factory installation site, called Robins Industries located in Warren, Ohio. 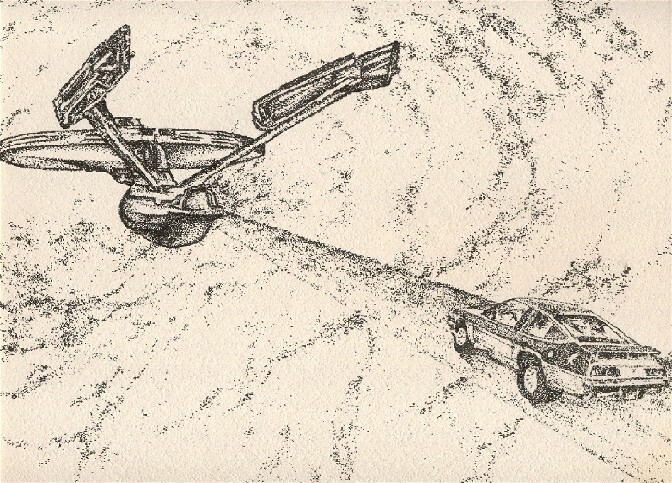 Upon completion in Warren, the car was then shipped out to the dealeship who ordered the Road Hawk in the first place. 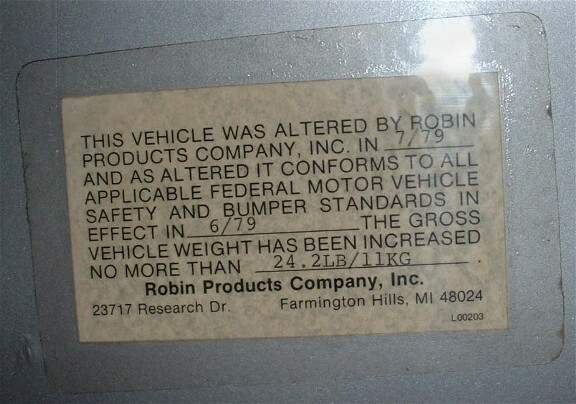 A sticker was affixed to the driver's side door opening, above the nader bolt on every Road Hawk stating that the car had been altered by Robin Products and conformed to all vehicle and bumper standards and included the date of production, the weight added to the car and the address of Robin Products. Unfortunately there were no production numbers assigned to each Road Hawk at least none that are obviously present on the car itself. 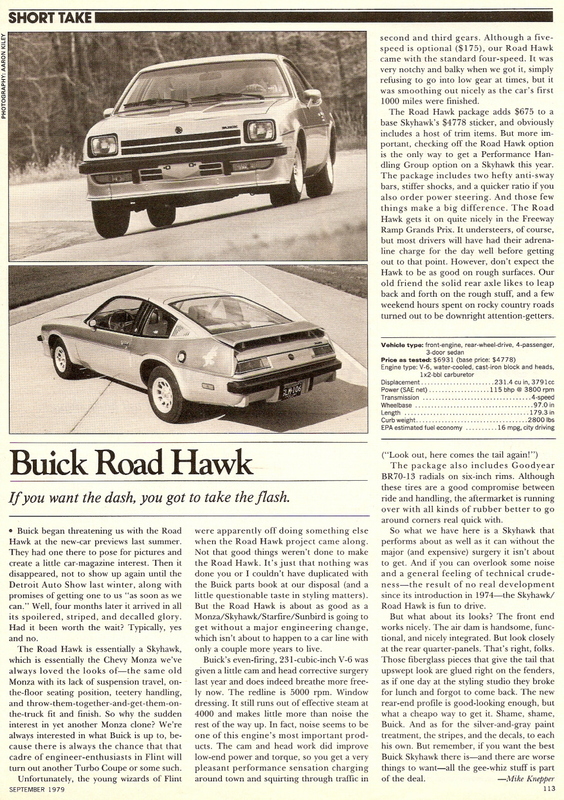 Like all Skyhawk's in 1979 and 1980, the Road Hawk was powered by Buick's even-fire 3.8 litre, 231 ci, V6 engine. A water-cooled, cast-iron block and heads powerplant that had 8.0:1 compression, produced 115 bhp @ 3800 rpm and 190 lb.ft. at 2000 rpm, using a 2 bbl Dualjet Rochester carburator. 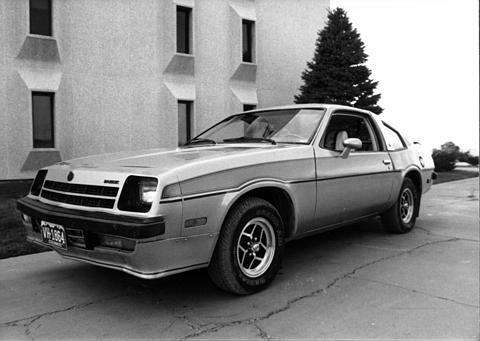 A Saginaw 4-speed was standard equipment with a 3-speed Turbo Hydramatic 350 automatic and Borg Warner T-50 5-speed ($175 option) as available transmission options on the Road Hawk. 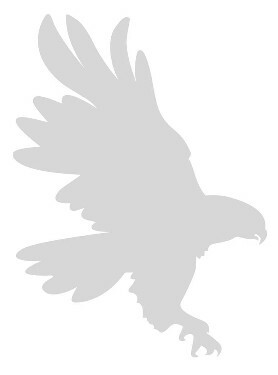 The wheelbase is the same as all Second Generation H-Body cars, 97.0 inches, the Road Hawk was 179.3 inches in length and had a curb weight of approx 2,800 lbs. 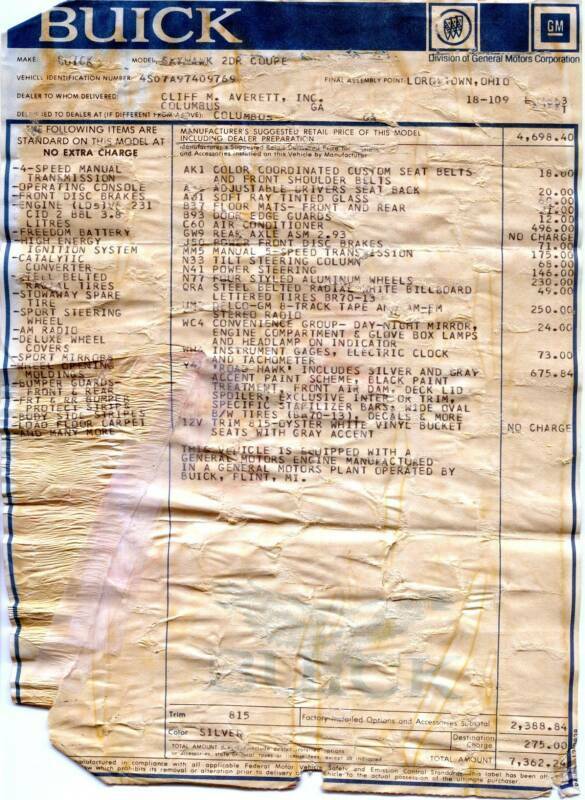 Unfortunately this is all the information I have been able to uncover about this rare GM H-Body. 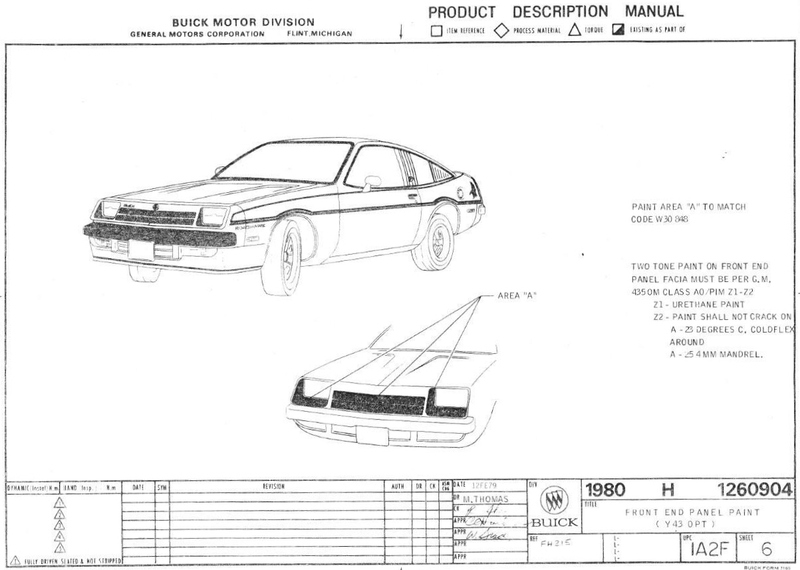 Since I am presently restoring a 1979 Buick Road Hawk, I am also in the process of tracking the entire history of the Road Hawk. 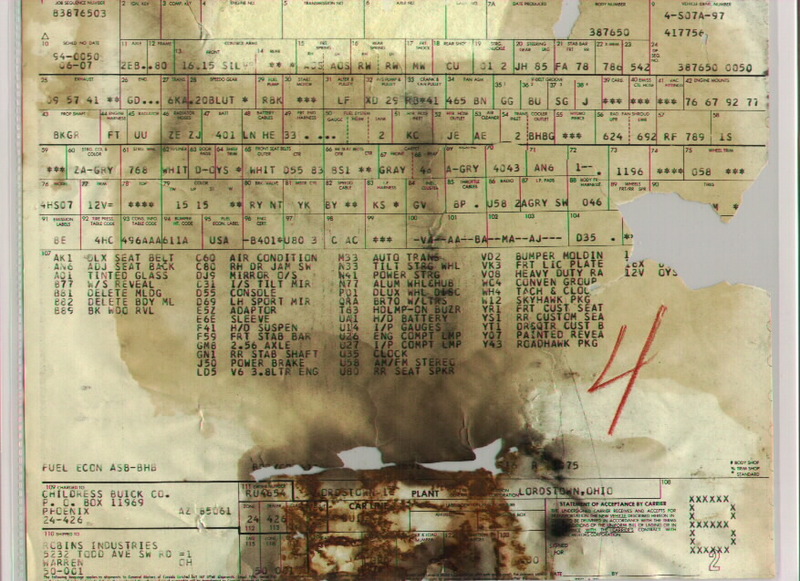 Any and all information learned and pictures acquired will be added to this webpage !!! 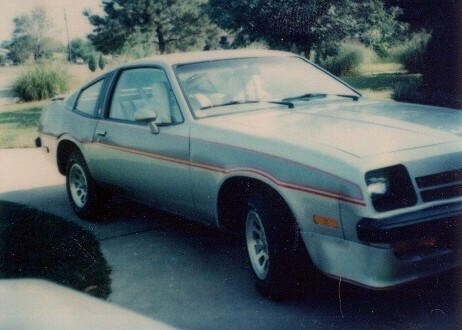 Please visit my extensive Chevrolet Monza website, which also includes the other three Second Generation GM H-Body cars; Buick Skyhawk, Oldsmobile Starfire and Pontiac Sunbird. 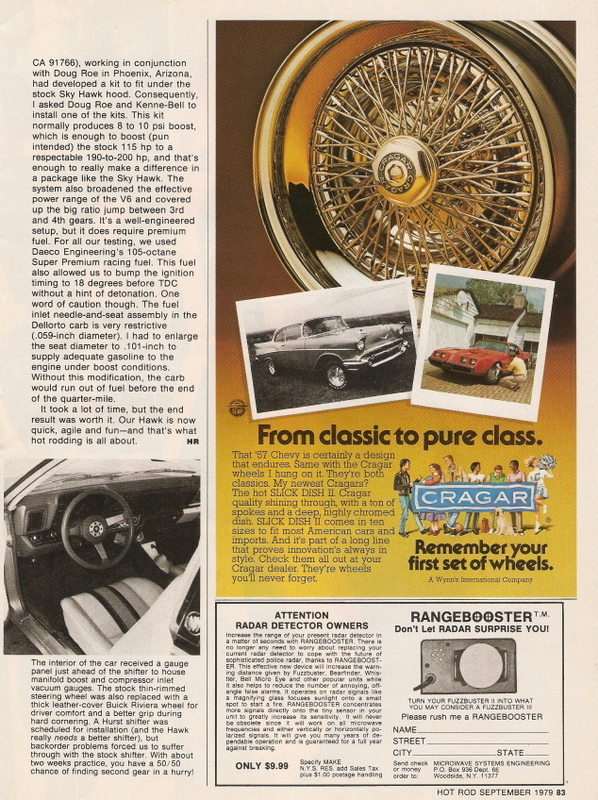 The GM H-Body Registry is also located at that same website.